The information presented on this page was originally released on April 29, 2002. It may not be outdated, but please search our site for more current information. If you plan to quote or reference this information in a publication, please check with the Extension specialist or author before proceeding. 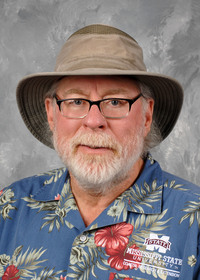 The phrase "Mississippi summer" brings visions of torrid heat and humidity to the minds of most gardeners, but that will not be the case after the spring of 2002. 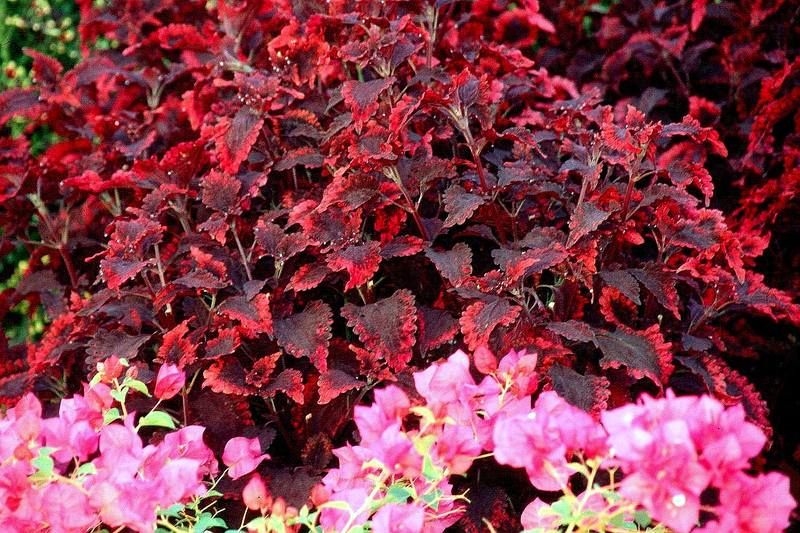 Mississippi Summer is the name of a new sun coleus that has been given the Mississippi Medallion award for 2002. Mississippi Summer was discovered south of Brandon in Rankin County and thrives in high heat and humidity -- giving it summer-long performance. Gardeners will find it to be a virtual kaleidoscope of maroon, burgundy and pink, complete with ruffled edges or margins. Not only is Mississippi Summer sun coleus able to flourish in full sun, it also excels in those areas of the garden receiving only filtered light. It reaches a height of 30 to 36 inches in the garden, giving it the ability to make a real landscape impact. Mississippi Summer sun coleus is a low-maintenance plant that is almost foolproof when grown in well-drained soil and watered through droughty periods. They are also excellent in baskets, especially when grown in combination with a vining or cascading plant. Mississippi Summer is resistant to blooming, which is just fine since it is the boldly colored foliage that attracts appreciative stares. When flowers do develop, simply pinch these off, and you will help develop a bushy plant. Even if flowers do not develop, pinching in mid-summer makes for a bushier plant heading into fall. The combination plantings for Mississippi Summer are almost endless. It works extremely well in the mixed flower garden with other annuals and perennials. Some of the most colorful companion plantings use bright golds and yellows from previous Mississippi Medallion winners like New Gold lantana and Indian Summer rudbeckia. In this type of planting, you definitely will want to plant several of each to create bold drifts. The pristine white of Shasta daisies also looks exceptional. In the tropical-style garden, use as understory plantings beside tall bananas or upright elephant ears. Try colorful flowers like the golden trumpet or allamanda, and use in combination with angel trumpets in the apricot, pink, white or yellow color range. Mississippi Summer's ruffled margins also fit the cottage garden look very well. Placed up against a white picket fence that is draped with a David Austin English rose, like Evelyn, certainly would create a Kodak moment. Lastly, Mississippi Summer will still be looking good going into fall and is perfect for combining with the ornamental grasses like Hameln dwarf fountain grass, Muhly grass and those new Belgian mums. Mississippi Summer is a breeze to propagate by cutting for additional plants or to make sure you overwinter one or two for next year. Simply take a six-inch cutting by removing the lower set of leaves and place it in moist potting soil or sand. Look for Mississippi Summer sun coleus at your local garden center, and don't forget to try the other 2002 winners: Lilac Chaste tree and Dragon Wing red begonia.